In 2010, The City Harmonic debuted with “Manifesto,” a worship track unlike anything listeners had heard before. Its lyrics were simple, a reminder of the core of what Christians believe, a mixture of several Christian creeds with the Lord’s Prayer. Its escalating arpeggios and choral effects, mixed with the strong guitars and these powerful lyrics, shot the song right up the Christian radio charts and left fans begging for more. Soon after, The City Harmonic released their debut EP and has since released three more phenomenal albums. 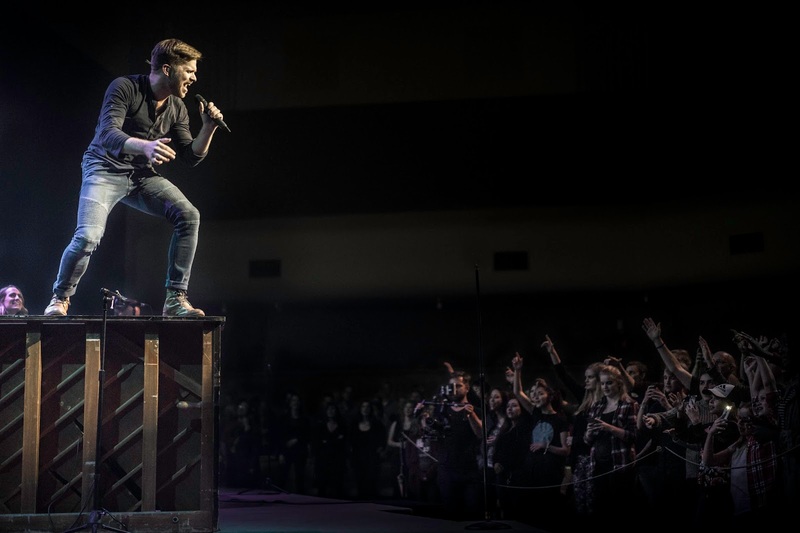 Throughout all the success and rightfully won awards, the band’s mission has remained the same – to unite believers in worship to our heavenly Father, despite the differences in denominations and beliefs. 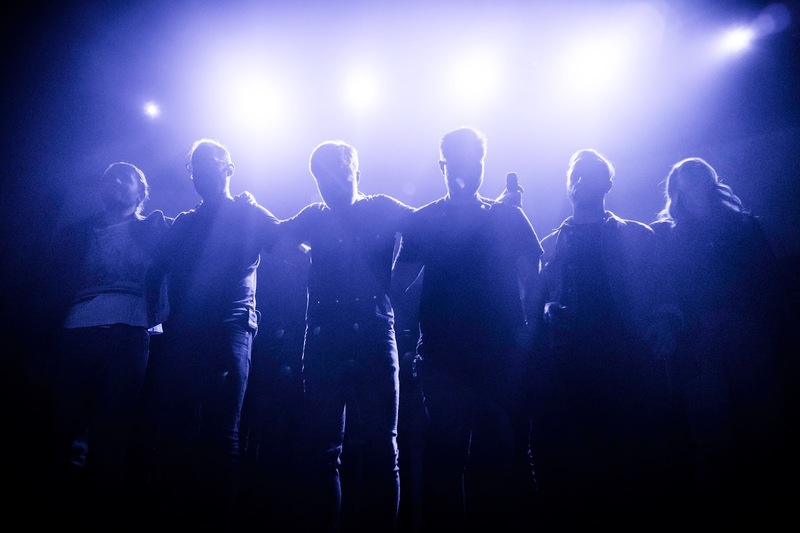 In 2016, The City Harmonic announced that the band members would be going their separate ways, but they would leave us with one final album. 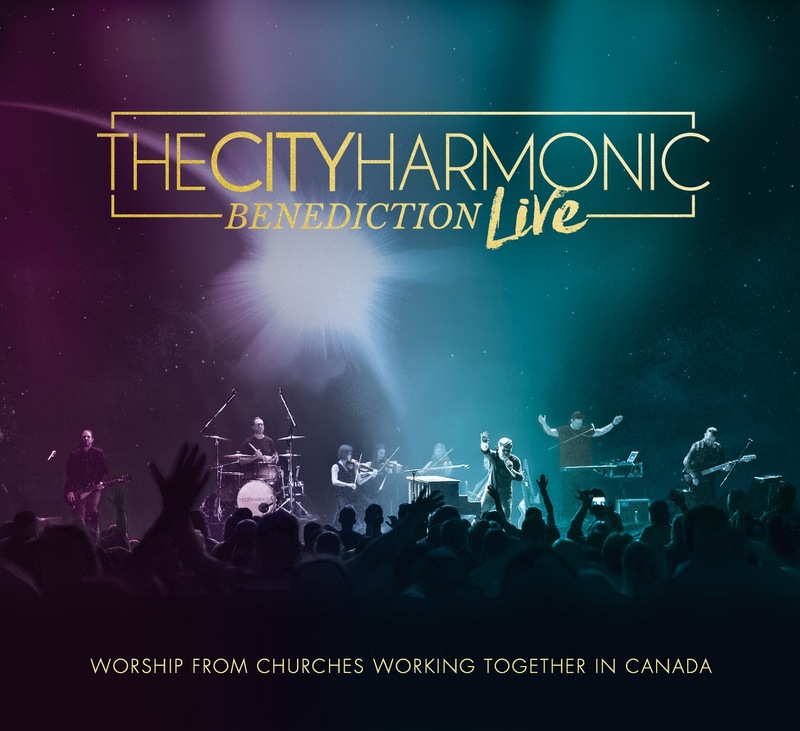 That album, titled Benediction, was recorded live in April of this year, in the town where it all started – Hamilton, Ontario. I have been a big fan of The City Harmonic since the beginning, particularly their I Have a Dream (It Feels Like Home) album that I personally rated 5-stars (and I still think it lives up to that standard). This final album is a bittersweet one, but one that The City Harmonic made sure was as perfect as possible for their farewell album. “My God” opens the album appropriately, as it is from their debut EP, and brings the listener back to the band’s beginning. It begins with a church organ sound, amidst the cheering fans, and quickly builds as fan’s clapping and vocal participation can be easily heard. Like the original version, the strings mixed with Elias Dummer’s fabulous vocals in the bridge, where he passionately sings about his desire to “sing for the love of God,” are a highlight. “Maranatha” is a much-welcomed following track. Drummer Josh Vanderlaan’s impressive drumbeat and strong audience participation – particularly in the bridge where Elias sings and the audience loudly echoes “Maranatha” – are standouts of this song which appeared on their We Are album. “Yours” is made much stronger than the original, as Elias first shares his excitement about leading worship with Hamilton and teaches the audience the song’s chorus. These two strong tracks back-to-back are very exciting! “Praise the Lord” from Heart, is a powerful reminder to praise the Lord, but emphasizes the need to praise Him in the hard, heavy moments. Though I had heard this song before, I found this live version to have a fresh life to it, as certain lines spoke to me, such as “Even in the middle of the long, dark night/ There is always grace enough to praise the Lord.” What an amazing track, especially as guitarist Aaron Powell and touring bassist Steve Lensink join their voices with the audience for a choral backing to Elias’ lead vocals – phenomenal! As “Praise the Lord” fades out, it fades in perfectly to the only brand new track off Benediction, titled “Honestly.” As a big fan of the band, I knew this song to be one of Elias Dummer’s songs previous to The City Harmonic, but I was pleasantly surprised by the changes made. We first hear Elias softly singing “that of all that I have, all that I need is You, honestly,” describing coming to a place of abandonment to God, in exchange for Him making something beautiful out of our small lives. But as the bridge approaches, Aaron and Steve again lift their voices in the outstanding signature choir background, as Elias sings a bridge borrowed from Psalm 139: “I’m prone to wander/ but where could I go that You aren’t there?/ so here’s my heart, Lord/ with all of these doubts and fears and prayers.” Though this is the only original track off Benediction, it is certainly a fabulous one! In the same key comes “City On A Hill,” which the band performs mostly acoustically, until it builds very strongly at the last chorus. Again, this track has a special new life to it, reminding the Church that we are the city on a hill and to brightly shine our lights. Wow! The strong “I Am” from the debut EP follows, leading into one of my favorite tracks, “Mountaintop.” The excitement is easily felt! The audience loudly claps the beat, after Elias shouts “Let’s Make Some Noise”! One of my favorite moments of the album is on this song, where Josh Vanderlaan takes over for a moment with a short, but very strong, drum solo! A set of slower, beautiful worship tracks follow, beginning with “Holy (Wedding Day),” one of the most stunning songs I’ve ever heard. It is easy to close your eyes and visualize the wedding day in heaven – and even more so, as the audience whole-heartedly sings “Holy, Lord God Almighty!” “What I Want” begins only with acoustic guitar and vocals, but the band members stomp and clap their hands for the beat of the second verse – which I might add was one of my favorite memories of seeing the band live! It is also a track that I personally have gotten lost in worship in, because the lyrics resonate with a message of living life for God to the fullest – every song, every word, every thought, and every moment in between. It’s such a powerful song! The newer “Let There Be Light,” from the album We Are, follows, taken strongly from Scripture – just as God spoke light into this dark world, the song invites the listener to speak light into the dark situations in our lives today. And what would a farewell album from The City Harmonic be without “Manifesto”? 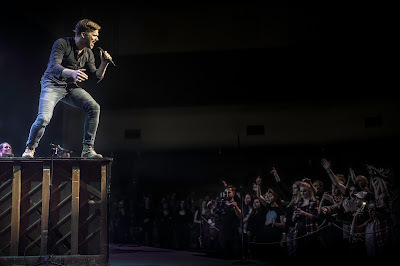 Following as the last official song, it is clear that The City Harmonic has completed their goal, as all present at the live recording lift their voices in a unanimous “Amen” at the Gospel message that we all believe. In unison, they then sing "Doxology," before the band closes their worship set with “Benediction.” It is a very bittersweet track, as the band leaves their listeners with grace, peace, and love, and says, “Goodbye, yes, that’s goodbye.” The audience then erupts in applause for the band’s outstanding final performance. It’s a perfect ending to this album, as it was for the I Have a Dream (It Feels Like Home) album. As previously stated, Benediction is a very bittersweet album. 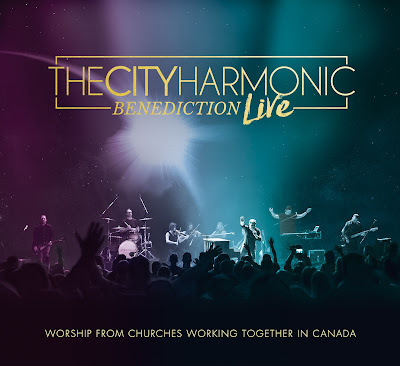 As the band members go their separate ways to minister at their local churches, and some work on solo projects to be released soon, The City Harmonic did well to offer this last album to its fans. They obviously poured themselves into this project, hand-picking the best fan-favorites from their eight years of releasing music together. They also made the concert as memorable and exciting as possible, so that it not only serves as a final best-hits album, but is also a fun and worshipful live album. To The City Harmonic, thank you for four phenomenal albums and for giving us this final blessing of an album; but most importantly, thank you for bridging people of various denominations and beliefs in unanimous worship to Jesus, and reminding us that we are one in Jesus Christ. :) Thanks Josh! Can't wait for you to hear my new album that I just recorded in Nashville!